The North Inlets Trail that starts just north of Grand Lake, Colorado, and follows the stream for several miles. The views are beautiful and the water is clean and clear. 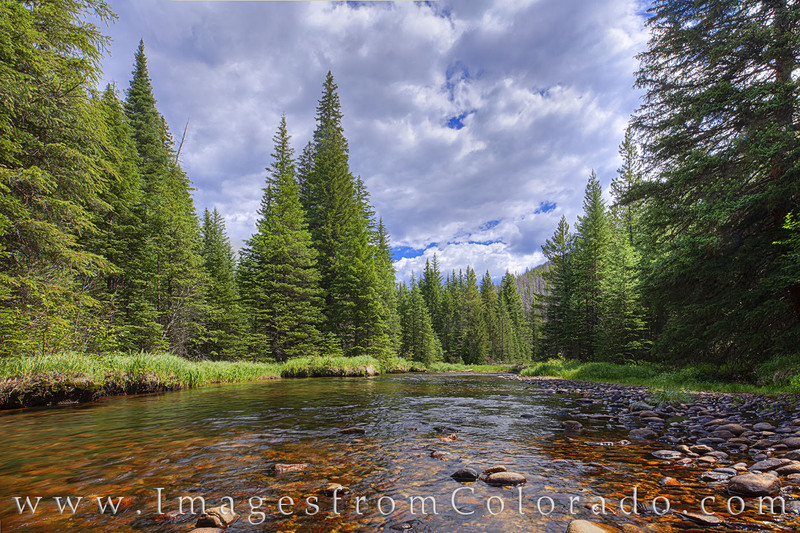 This image from Rocky Mountain National Park was taken on a perfect summer afternoon. Photo © copyright by Rob Greebon.